2019 Audi A3 Trim Levels with Comparisons & Configurations. What 2019 Audi A3 Trim Level Should you Buy? What is the Difference Between Trims? 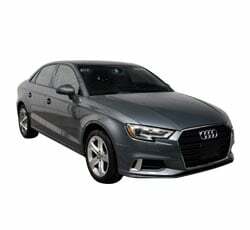 If you are in the market for a brand new sedan that meshes sporty handling and a comfortable ride quality, you will need to add the 2019 Audi A3 to your list of vehicles to test-drive. This chic vehicle proves that sedans are still in style, even though a lot of drivers are moving up to SUVs and crossovers. The A3 has a standard 2.0-L 4-cylinder turbocharged engine (known as the 40 TFSI) that gives it plenty of power, and there is an upgraded version (named the 45 TFSI) that is even stronger. You also get to choose between these two engine options on any of the A3's trim levels: the Premium, Premium Plus, and Prestige. All three of these trim levels comes well-equipped with a wide array of standard features. Since they're all pretty powerful, your selection will come down to which trim level has the most features that you want and which extras you are willing to spend a bit more money on. Even the base Premium trim tends to feel pretty luxurious with its leather seats (the front ones are heated) and standard smartphone app integration via Apple CarPlay and Android Auto. Still, the Premium Plus and Prestige up the ante on comfort and luxury features, but you should, of course, expect to pay more for these trim levels. So, which 2019 Audi A3 trim is the right one for you? Which one presents you with the best deal? Let us break this line-up down, trim-by-trim. By the end of this comparison review, you should have a clearer notion of which trim level suits you best or if you should go with a different sedan altogether. Compare the 2019 Audi A3 Premium vs Premium Plus Trim Levels. What is the difference? The 2019 Audi A3 line-up starts with the base trim, the Premium. This might be the base trim, yet it is anything but basic. This vehicle is powered by the 40 TSFI 2.0T engine and a S tronic seven-speed dual clutch transmission. The power gets sent to the wheels by the all-wheel drive system, which Audi has named the quattro. A 12-volt battery and 14-volt alternator are included, and there is a MacPherson front strut suspension. The engine is able to generate 184 hp and 224 lb-ft of torque, which is ample enough to get this sedan up and moving. As for the fuel economy, the A3 Premium with the 40 TSFI gets 29 mpg combined (26 mpg in the city and 35 mpg on the highway). Overall, this engine is pretty efficient without giving up too much power. On the 45 TSFI, fuel efficiency drops a bit to 25 combined mpg (22 mpg in the city and 30 mpg on the highway), but you get 228 hp and 258 lb-ft of torque instead. Also, while the 40 TSFI can get from 0 to 60 mph in 6.6 seconds, the 45 TSFI bests it with a time of 5.4 seconds. As far as features go, there are plenty of standard infotainment gadgets to be found inside of the Premium's cabin. A 9-speaker sound system with a CD player and MP3 playback comes standard, and there are two USB ports up front with Audi's interface. You also get a driver information system, a 90-day trial subscription to SiriusXM Satellite Radio, HD Radio, Bluetooth streaming and wireless connectivity, cruise control, an SD card slot that allots for up to 32 GB, a rearview camera with front and rear parking sensors, and Audi pre sense basic and front. The Premium's seats are decked out in leather, and the front seats are both 12-way power-adjustable with 4-way power lumbar support for extra comfort. They're also heated. The rear seats are 60/40 split-folding. Temperature is regulated by a dual zone climate control system. There is a tilt-and-telescoping steering column with a three-spoke steering wheel and leather-wrapped shift knob. The Premium also gets packed with a bunch of standard safety features, including an anti-theft alarm system, a tire pressure monitoring system, electronic stability control with traction control and brake assist, and a reminder for the safety belts on the front seats. Audi adorns the Premium's exterior with automatic xenon plus headlights, LED daytime running lights and taillights, rear fog lights, a panoramic sunroof, and a stunning Singleframe grille mounted on the front fascia. There are dual exhaust outlets as well as an integrated spoiler for the trunk and side mirrors with integrated turn signals. The next trim level up is known as the Premium Plus, and it definitely reflects its name. Basically, you get everything that the Premium is equipped with and then some. So, what constitutes the "Plus" on this trim level? For starters, Audi adds its side assist system (which comes with rear cross traffic assist) and a rain and light sensor to the automatic windshield wipers and headlights for extra safety precautions. Also, on the Premium Plus, you get the S treatment, meaning that the details on the inside and on the body look a little bit sportier. There are aluminum door sill inlays with the tell-tale S badging on them as well as the S line exterior appearance details and fender badges. Other than that, there are not too many differences between the Premium and the Premium Plus. Just note that the Premium Plus has a starting MSRP of $36,500, whereas the Premium starts at $32,500. 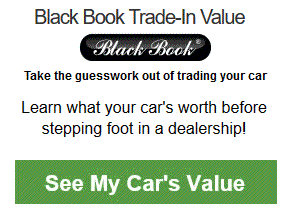 It is not a huge leap, and you will be getting what you pay for on either trim level. Compare the 2019 A3 Premium Plus vs Prestige Trims. What is the difference? At the very top of the 2019 Audi A3 line-up is the stunning Prestige trim level. Starting at $41,700, you can expect the Prestige to have a lot of features that the two lower trim levels do not possess. As with the Premium and Premium Plus, you can choose to equip either the 40 or 45 TSFI 2.0T engine on the Prestige trim. As far as the differences go between the Premium Plus and the Prestige, there are quite a few since Audi equips the Prestige with a ton of additional standard features. Take, for example, the upgrades to the infotainment system. The Prestige gets the MMI Navigation Plus system and MMI Touch with handwriting recognition capabilities. Also, a 6-month trial subscription to Audi's connect online services (PRIME and PLUS) is standard. An impressive 14-speaker, 75-watt Bang & Olufsen Sound System is swapped in to provide crystal-clear, concert-like sound. Other standard infotainment features include the INRIX XD Traffic system, the HomeLink universal garage door opener, and Audi pre sense front. Audi Advanced Key also gets added in, giving you keyless entry, start, and stop functions. The cabin itself is also given some significant upgrades that help to distinguish it from the lower trim levels. The Prestige trim level gains illuminated aluminum door sill inlays containing the S line emblem and an automatically dimming rearview mirror with a compass built into it for navigational assistance. The control trims for the windows and mirrors gain aluminum trim, as do the door handle surrounds and climate control vents. On the body of the Prestige, you will find a few changes as well. The lights get the full LED treatment, and high beam assist comes standard on this trim level. However, like the Premium Plus, the Prestige is adorned with the S line appearance and fenders. Aside from those few changes, you will not find too many differences on the bodies of these two trim levels. Overall, all three Audi A3 trims look fairly similar, so you will have to try to distinguish them by keying in to the nitty-gritty minute details. As far as trim levels go, you really cannot go wrong with either the Premium, Premium Plus, or the Prestige. All three offer the choice between two powerful engines, and picking the engine you want will depend on whether you prefer a great fuel economy (which means you should get the 40 TFSI) or a supple amount of power (which, in that case, you should opt for the 45 TFSI). It basically boils down to what you want most from your vehicle. Just know that the 45 TFSI means that you have all-wheel drive equipped, which reduces the amount of cargo space you get in the drunk due to the system's design. 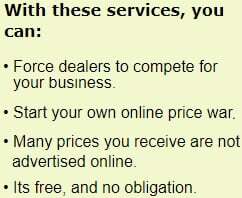 Of course, if you are on a budget, you are probably trying to find the best deal possible. 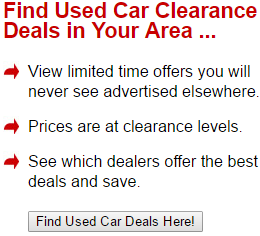 Since a new vehicle is a major investment, you will want to get the most bang for your buck. If you go for the base Premium trim and equip the optional Convenience package, you can really maximize the amount of features you get without spending an arm and a leg to get them on the Premium Plus or Prestige. The Premium provides a nice balance between power, comfort, technology, and affordability when you slap the Convenience package onto it. Still, you really cannot go wrong with any of the 2019 Audi A3 trim levels, and if you can afford it, the Prestige has a ton of cool features to enjoy.